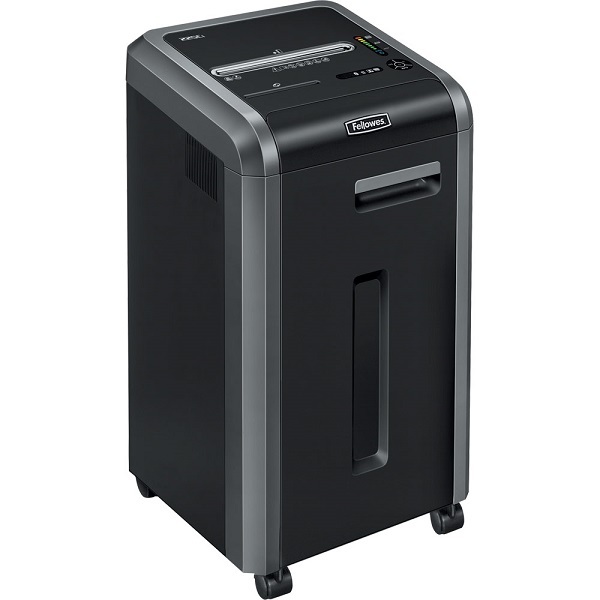 Top selling Cross-Cut Shredder with 100% Jam Proof System ideal for commercial use in a Small Office. Shreds Paper, Staples, CDs/DVDs & Credit Cards. 20 sheet capacity - 3.9 mm x 38 mm Cross (Confetti) Cut (security level 3) - 230 mm throat width for A4 documents. 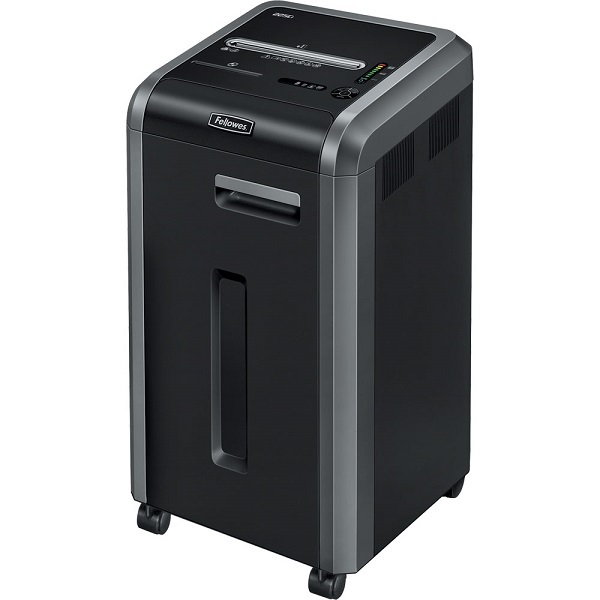 Duty Cycle: This shredder can be used continuously. No cool down means no wasted time. Recommended daily capacity of 1,000 sheets. The Powershred® 225Ci provides higher security shredding of 20 sheets at a time into 3.9 x 38mm cross-cut pieces. Sleek, modern design maximises and enhances your office space. Safely shreds Staples, Paper Clips, CDs/DVDs and Credit Cards. 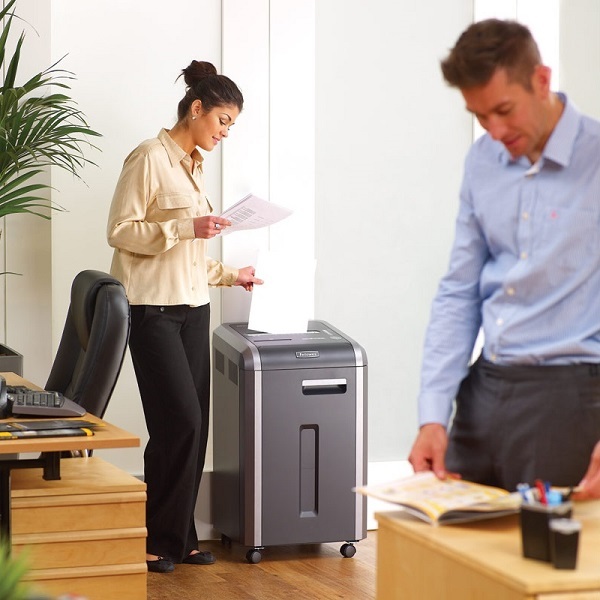 SafeSense® Technology automatically stops shredding when hands touch the paper entry. 100% Jam Proof eliminates paper jams and powers through tough jobs. Continuous Duty Cycle. 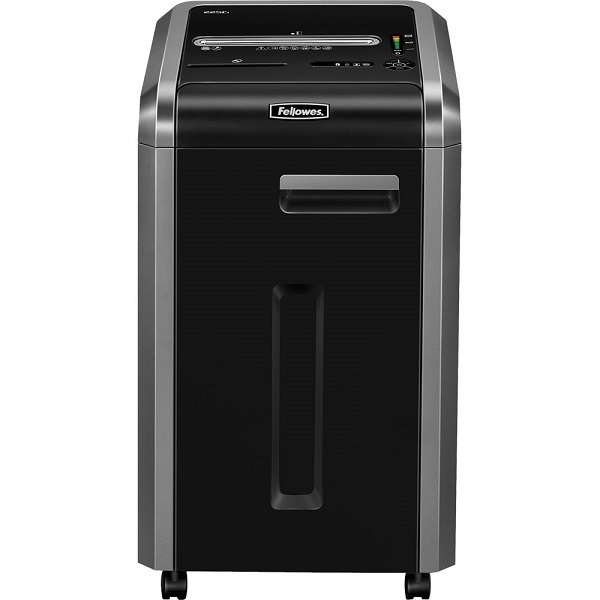 This shredder can be used continuously. No cool down means no wasted time. 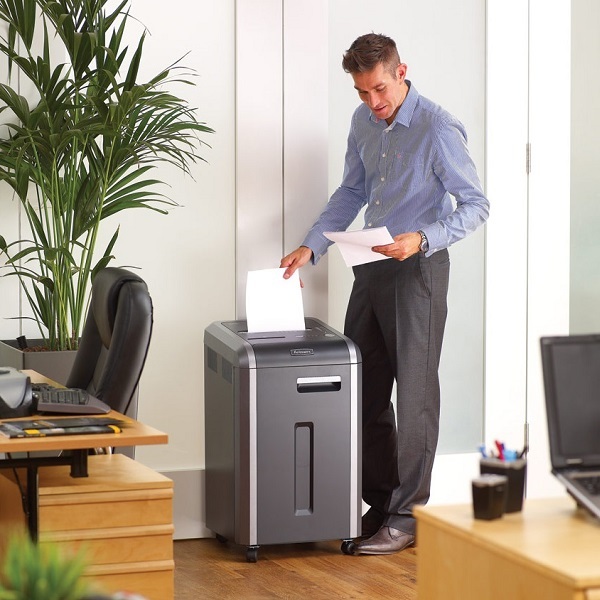 Download our Fellowes Powershred 225Ci Office Shredder brochure for detailed specifications.